In a novel initiative, citizens will be roped in to map an endangered toad in the Western Ghats, the Malabar tree Toad that is listed as endangered in the Red List of the International Union for Conservation of Nature (IUCN). The unique Malabar tree toad, Pedostibes tuberculosus, lives in the canopy of the evergreen forests of the Western Ghats. 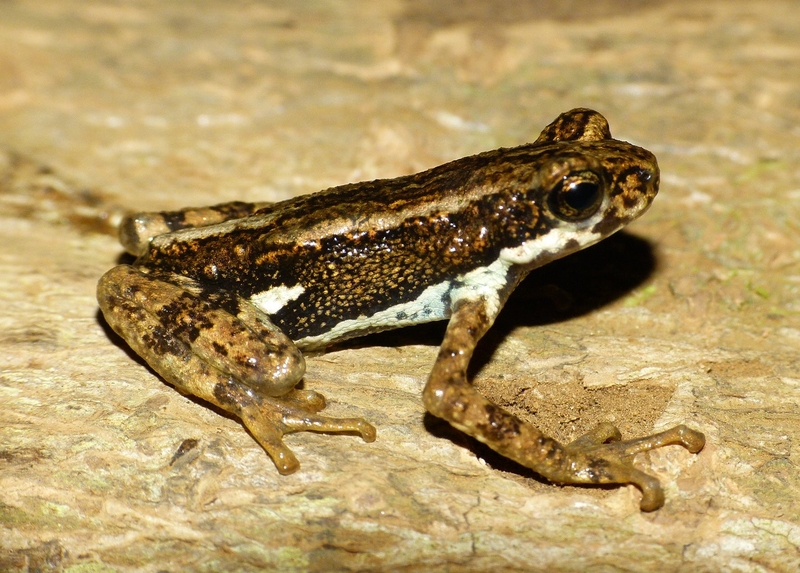 First described in 1875, the toad has been observed in a few locations such as Silent Valley National Park, Cotiago Wildlige Sanctuary, Charmadi Ghats, Kalakkad, and Ponmudi. It is also known to breed in June. Apart from these two bits of information, little is known about it, for example, its other locations, where does it go in other months, does it live in trees or soil or does it simply hop around unrecognized? K V Gururaja, a scientist from Gubbi Labs, a private research collective in Kerala has set out to find the answers, and enlisted citizens help in spotting the toad. According to Gururaja, while surveying the entire Western Ghats would involve time, cost and logistics constraints for scientists, making use of observations of nature lovers, amateur naturalists and photographers in the areas, and collating them on a common platform, would be a way forward. So any one spotting this endangered toad can log in the information at the link: http://indiabiodiversity.org/group/frog_watch/userGroup/show, says Gubbi Labs. Gururaja, incidentally has written a book on the frogs and toads of the Western Ghats. Based on the book, two software enthusiasts developed an Android app Frog Find, available on Google Play, which brings the croaks of 55 of the 157 known species of amphibians from the Western Ghats to one’s phone. Gururaja has also developed an acoustic guide to the frogs and toads of Western Ghats, Mandookavani. Keep it going, Gururaja and Gubbi.